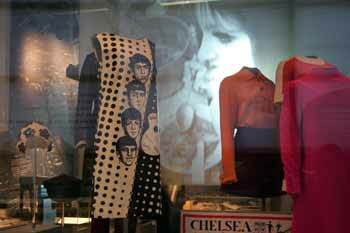 Discover the new modern London Museum galleries at the museum of London. They really are fantastic and from my own personal point of view have transformed the museum into a completely new experience. It is now colourful, engaging, vibrant and relevant to more of us. The galleries explore real people's lives from all walks of life, from the well off to the poverty stricken. Bringing them all closer together in one space and enabling us to see them in a wider context. 1970's clothing alongside Silver jubilee tissues and a original Time out magazine. Motor cars and modern technology are also represented here in the gallery. Showing how fast London has changed and developed over recent years. Even items from just 40 years ago now look incredibly outdated and it made me wonder what changes we will see in the next 40 years. I think the galleries were designed to be thought provoking like this and I think they have certainly achieved this. There are film clips everywhere depicting Londoners lives over the generations which allow you to either stop and watch them or use them as a backdrop for the rest of the collection. It really has been done very well indeed. One of my favourite areas is the Victorian high street area. 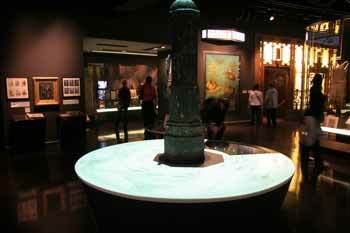 This has been a part of the museum for many years and I am so glad they have not changed it in anyway, as it remains still a great and unusual experience. Real life sized shops and business have been constructed to create a high street experience you can walk around and discover for yourself what sort of items were for sale at the time and what the conditions were like. There's a pub with lovely hand pumps for pulling the ale. A bakers with cakes and biscuits for sale. A baby's clothes shop and even a tobacconist with all his pipes and different tobacco rubs. I really enjoyed my stroll around these shops and the following video gives you a brief glimpse of what it was like. 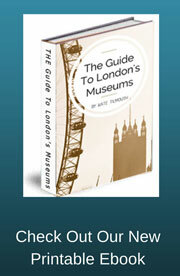 This modern London museum gallery also shows the problems of poverty and disease in the city in the 19th century. Poor water quality and supply and lack of proper sewage treatments caused much disease and death amongst the poor. There is an interactive map on the wall showing the worst areas of London for poverty and information about some of the terrible illnesses which it caused. This whole gallery is so captivating that you could spend most of your day just in this one area. I think new galleries like this will guarantee that visitors return over and over again to enjoy the displays, I know I will be back soon.